-Harpreet Kaur, UILS, Panjab University, Chandigarh. Our culture states the status of parents as that of God through sayings like “Matrudeo Bhava”, “Pitrudeo Bhava” etc. Traditional norms and values of the Indian society laid stress on providing care for the elderly. It is moral duty or obligation of children to maintain their parents. However, due to withering away of joint system, a large number of elderly people are not being looked after by their family. Consequently, many older persons, particularly widowed women are now forced to spend their all twilight years all alone (they are being sent to Old Age Homes to spend their rest of life there) and are exposed to emotional neglect and to lack of care and support. (i) Economic problems, which include loss of employment, income deficiency and economic insecurity. (ii) Physical and physiological problems, which include health and medical problems, nutritional deficiency and problem of adequate housing etc. (iii) Psycho-social problems, which cover problems related with their psychological and social maladjustment as well as problem of elder abuse etc. This provision is included in the Chapter IV i.e., Directive Principles of the Indian Constitution. The Directive Principles, as stated in Article 37, are not enforceable by any court of law. But Directive Principles impose positive obligations on the state, i.e., what it should do. The Directive Principles have been declared to be fundamental in the governance of the country and the state has been placed under an obligation to apply them in making laws. The courts however cannot enforce a Directive Principle as it does not create any justiciable right in favor of any individual. (II) Under Personal Laws: The moral duty to maintain parents is recognized by all people. However, so far as law is concerned, the position and extent of such liability varies from community to community. Hindu Law: Amongst the Hindus, the obligation of sons to maintain their parents, who were not able to maintain themselves out of their own earning and property, was recognized even in early texts. And this obligation was not dependent upon, or in any way qualified, by a reference to the possession of family property. It was a personal legal obligation enforceable by the sovereign or the state. The statutory provision for maintenance of parents under Hindu personal law is contained in Sec 20 of the Hindu Adoption and Maintenance Act, 1956. This Act is the first personal law statute in India, which imposes an obligation on the children to maintain their parents. As is evident from the wording of the section, the obligation to maintain parents is not confined to sons only, and daughters also have an equal duty towards parents. It is important to note that only those parents who are financially unable to maintain themselves from any source, are entitled to seek maintenance under this Act. Muslim Law: Children have a duty to maintain their aged parents even under the Muslim law. According to Mulla : (a) Children in easy circumstances are bound to maintain their poor parents, although the latter may be able to earn something for themselves. Christian and Parsi Law: The Christians and Parsis have no personal laws providing for maintenance for the parents. Parents who wish to seek maintenance have to apply under provisions of the Criminal Procedure Code. Also, the recently enacted act ‘The Maintenance and Welfare of Parents and Senior Citizens Act, 2007‘ has sought to redress this grievance with an emphasis and focus on the senior citizens. It is really disheartening to note that the senior citizens are mostly neglected, become desolate and find it very difficult to eke out their livelihood. Some of them manage to find a place in the ‘Homes for the Aged’, some of them choose to beg and most of them die of starvation and uncared for. ‘The Maintenance and Welfare of Parents and Senior Citizens Act, 2007’ has made an earnest attempt to render justice to them. 1) It provides for summary proceedings within a period of 90 days from the date of filing a petition in a specially constituted Tribunal for this purpose. The Tribunal is manned by an officer not below the rank of a sub- divisional officer. 2) The senior citizen can either apply to a Tribunal where he resides or where his son or daughter or his near relative resides from whom he or she claims maintenance. 3) An uncared for or a childless senior citizen, though he or she possess property but does not derive any income from it, can seek maintenance from his son or daughter or from his relative or relatives, who will inherit his or her property after his or her death. 4) Punishment of Rs.5000/- or jail for three months or both for not paying the monthly allowance by children or relative. 5) The senior citizen can either apply in person or through a person authorized by him or through a voluntary organization registered under the Societies Registration Act. 6) The Tribunal enjoys the power of a first class magistrate for enforcing and summoning the attendance of persons against whom the petition has been filed. 7) The Tribunal follows the same procedure of a civil court to adduce evidence from the petitioner and the respondent. 8) The Tribunal can pass an order granting a maximum sum of Rs 10,000/- as maintenance to the senior citizens. The maximum amount is subject to the regulation of the concerned state government. 9) The person against whom an order for maintenance has been passed has to comply with the order within one month, failing which the Tribunal can imprison him or her up to a period of one month. 10) The maintenance amount shall also carry an interest varying between 5 % and 18 %. 11) The Act provides for the District Welfare Officer to act as maintenance officer and even to conduct the proceedings for and on behalf of the senior citizens. 12) The Act provides for the establishment of old age homes for the senior citizens by the concerned state governments. 13) Preferential treatment should be given to the senior citizens in the hospitals like separate queues, treatment, offering medicines and also promotion of research in the geriatric medicine. 14) Civil courts have no jurisdiction to interfere with the proceedings of the Tribunals like grant of stay, ordering transfer etc. 15) State governments are empowered to enact rules for the effective implementation of the Act. 16) If a person who has been looking after a senior citizen forsakes him or her, he or she will be punished by the Tribunal. 17) Appeal can be preferred against the order of a Tribunal and the appeal should be disposed of within one month. 18) A senior citizen can seek maintenance for the purpose of his or her food, shelter, clothes, medical facilities and recreation etc. 19) A senior citizen who has transferred his property either to his son or daughter or near relative, by virtue of a will or gift, can now get it cancelled by applying to the Tribunal, if he or she is neglected by the legatee or the donee. 20) The provisions of the act have overriding effect. If any provision of any other act is inconsistent with the provisions of this act, it will prevail over others. 1) The Tribunal is not manned by a person with a judicial qualification or acumen or experience. It is not known how they will adjudicate into the matter in accordance with the procedure followed by a civil court. 2) Complete exclusion of the professional lawyers from the purview of the Tribunal simply defies logic and reasoning. 3) The presiding officer of the Tribunal has no power of discretion in awarding the maintenance amount and the power is vested with the state government. 4) The exclusion of the jurisdiction of civil courts is not justified, because Tribunals are not manned by legally qualified or experienced persons. 5)It seems that most of the state governments are not serious in implementing the provisions of the act and only a few states have so far come forward to notify the act in their gazette. Therefore, in order to implement the act more effectively and render justice speedily, the central government should come forward to remove the above mentioned drawbacks. 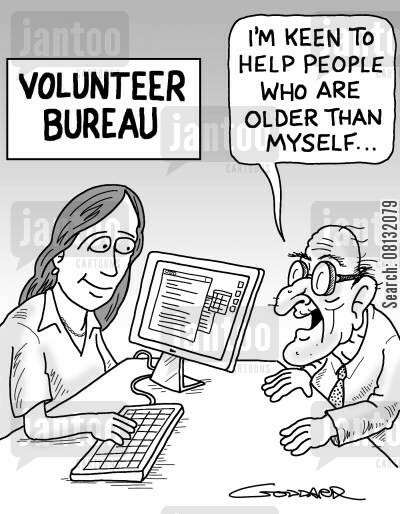 Otherwise, the real purpose of enacting the above act to rescue the senior citizens may not be fulfilled. Difference between S.125 Cr.P.C and the said act: There is a considerable difference between the two acts. These differences show the need of the above stated act and how the stated act tried to give more relief to the parents and senior citizen. Some of these differences are: Under S125 of Cr.P.C there is no provision for maintenance of senior citizen who is without child. But under Senior citizen act a childless senior citizen can claim maintenance. In The Maintenance and Welfare of Parents and Senior Citizens Act, 2007 (Senior Citizen Act) the power is given to the tribunal to decide the case but in Cr.P.C only the Magistrate orders the claim for maintenance. In Cr.P.C Proceedings are time consuming. But in the other act time limit of 90 days is stated. Under Cr.P.C advocate can participate in proceedings but participation of advocate is barred in Senior citizen Act. Also in Cr.P.C there is restrictive definition of parents while in the other act broad definition is given. Conclusion: The Maintenance and Welfare of Parents and Senior Citizens Act, 2007 (Senior Citizen Act) is very important as it ensures speedy, inexpensive proceedings. This will be a great relief to the parents and senior citizens. Also the precious time of Hon’ble court can be saved as Tribunals are established. This act is made applicable to senior citizens who are childless. So a very broad view is adopted in this act. No hiring of Advocates and hence the cost of proceedings is reduced. This act is silent in case of transfer of property to children. There should be some responsibility on parents not to prepare any will in favor of third parties when the children or relatives are taking care of them. Very quick and fast steps should be taken to make people aware of the stated act and to start all the proceedings of maintenance in Tribunal. Good laws have their origin in bad morals. ~Ambrosius Macrobius. Previous ArticleInternship opportunity at Google India: Apply before 4th January, 2014.